Quality training based on "Case Method"An active, practical and participative model. You will learn through case real companies and current situations, with international focus. Continuous contact with entrepreneurs and industry executives SME business will bring new visions that will consolidate your knowledge for decision making. 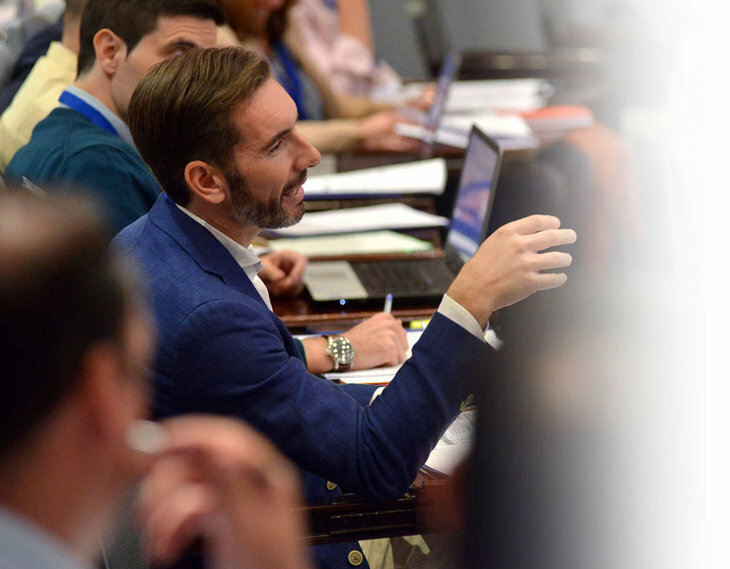 Qualified professionals, experienced entrepreneurs and executives active prestigious form the faculty of the San Telmo International Institute PYMEX Program. Meet professionals from different sectors of small and medium enterprises. You can find clients, future partners or suppliers among our more than 10,000 alumni. Acquires rigorous functional and operational knowledge, allowing you a high readiness to lead and rule the small and medium enterprises. Make the most of the program with the tutor. Each participant will have an assigned tutorWhich will help you get the best results and overcome the difficulties they may encounter throughout their training. Hone these skills through analysis of business situations, Improves troubleshooting, evaluating alternatives and making decisions. Purpose (shared mission, people and talent) and any other participant in the business environment. Reserve your place to experience the case method in a free training session in the San Telmo International Institute.